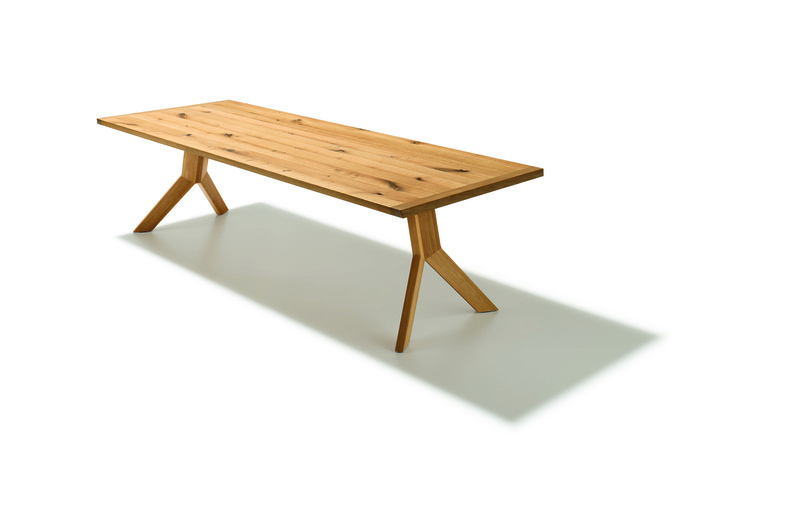 TEAM 7 is an Austrian manufacturer of natural wood furniture, masterly combining precious natural wood, award-winning design and innovative technology. The wood that TEAM 7 uses comes from sustainably managed forests and is treated with pure natural oil only. This preserves the wood’s natural features and gives TEAM 7 furniture its sensual appeal. The manufacturer’s dealer network spans over 100 shops and 15 flagship stores worldwide with recent openings in Moscow (RU), Beijing (CN) and Hamburg City (D). 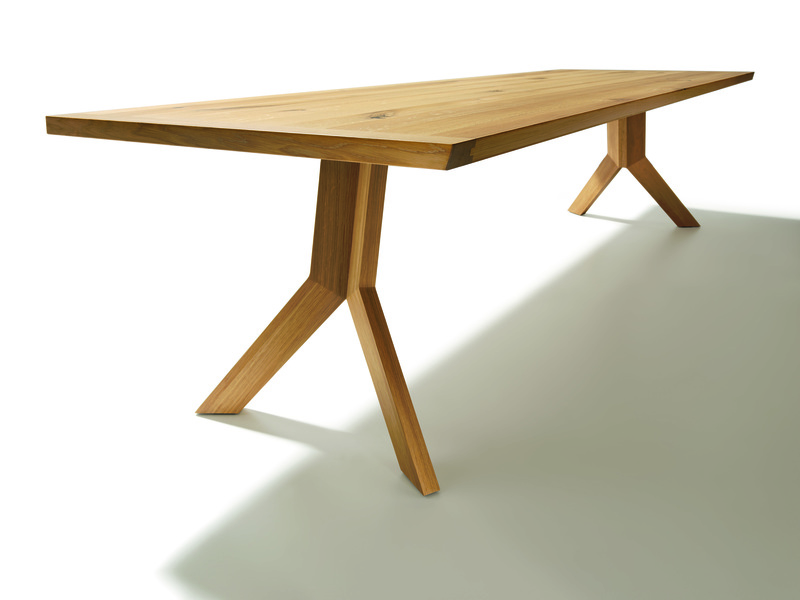 The generous dimensions of the yps natural wood table do nothing to detract from its elegant, stylish and nimble look as it rests on exposed Y-shaped legs. As the basic shape for the feet, the Y provides a highly stable base, at the same time allowing for optimum legroom. The edges of the tabletop slant gently inward on the underside, giving yps a modern dynamism. Striking details such as the front band and the handmade triple-layer top are testimony to the great craftsmanship and the proven TEAM 7 quality.